In the primary sector, the use of smart raw material management with modern technology and business intelligence is becoming ever more important in providing energy-efficient food production. The global warming has given rise to the food resource crisis and placed the agriculture industry under great pressure; agriculturists need more efficient methods to maximize harvest yields in decreasing arable land. 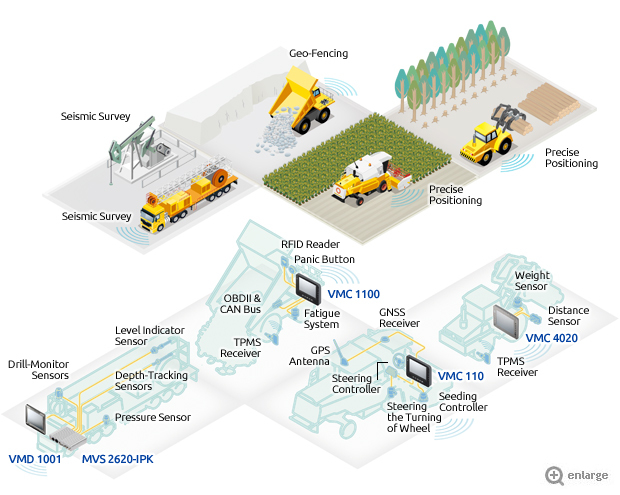 Using in-vehicle computers integrated with GPS and sensor technology, farming equipment can be steered automatically with turn-by-turn navigations without missing an area in the crop field and with improved seed and fertilizer distribution. On the other hand, in the mining sector, modern mining management systems use a central dispatch controller to monitor all truck and equipment activities within a mine operation. 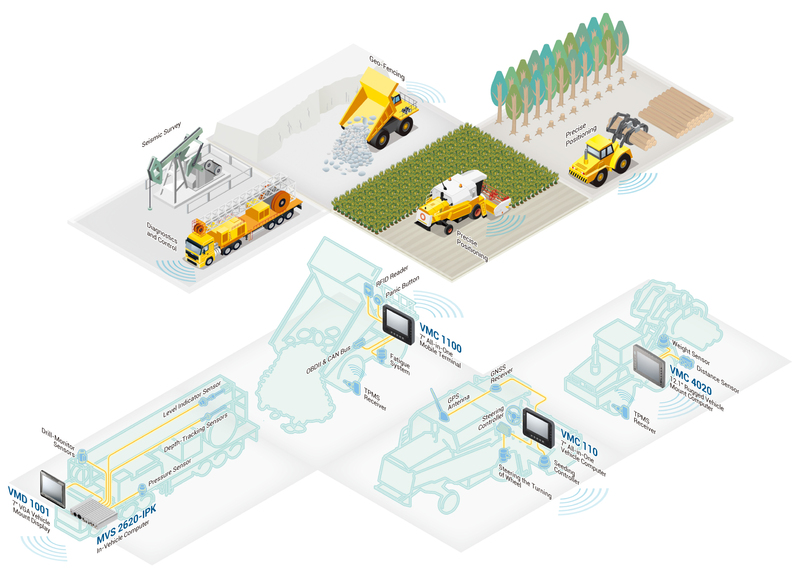 Events such as trucks travelling out of the predefined route or falling behind schedule can be identified in real-time, allowing central dispatch to immediately send on-screen alerts to drivers' vehicle mount computers to take corrective actions. In addition, job reassignments such as dispatching new tasks to drivers can be centrally managed and allocated in real-time to improve mining operations.